The Iconic Manhattan serving set with its sleek lines and gleaming chrome exemplifies the cocktail age and Art Deco styling. Legend has it that designer Norman Bel Geddes was inspired by the New York City skyline when creating this masterwork. But sometimes legend and facts, like gin and vermouth are mixed to create something far superior that any single ingredient. Every Art Deco fan knows the Bel Geddes shaker, but not everyone knows the story of how it came into existence. 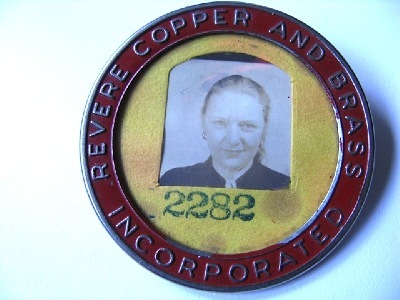 During the economic depression of the 1930s Revere Copper & Brass Company, like many others, sought new avenues to increase income, and decided to follow Chase Brass & Copper into the gift ware field. The contracted with visionary industrial designer Norman Bel Geddes & Company for a number of articles in late 1933. 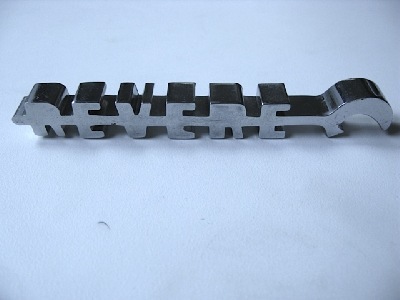 The executive in charge of the Revere account was Frances Waite, who married Bel Geddes that same year. Francis had a degree in design and was an equal partner in Bel Geddes & Company. Their design procedure was consistent, whether for an airliner, restaurant or cocktail shaker; in-depth research, to fully understand the product and any problems that could arise, then a challenge to the staff to go to the drawing board with innovation and imagination until they reached the best solution. This was a busy time for Norman Bel Geddes with a cornucopia of products. He was designing the complete interior of the China Clipper aircraft, as well as refrigerators, vacuum cleaners, even a prefabricated service station for Vacuum Oil. With an abundance of major accounts that needed his attention, it’s just possible that he didn’t see the designs of the Revere account. The famous Bel Geddes cocktail shaker would wait a year for its debut. We are fortunate to have a record of that period of gestation. 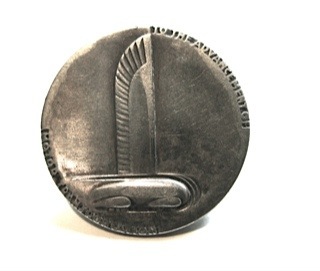 Bel Geddes knew his work was important and would be studied by future generations. He saved most all of his records and drawings. In the Bel Geddes archives, located at the University of Texas at Austin, there are an amazing 21 drawings of cocktail shakers, for Revere, with a total of 13 different designs. These are all working blueprints ready for production. No one tea pot style among them, typical of shakers at the time. They are rectangular, oblong, rocket ship shaped, streamlined and industrial. It is presumed that Norman saw and approved the “Manhattan cocktail shaker, as there are not one, but three drawings in various heights. 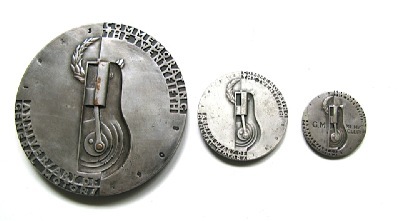 The artist designer is the same for all three drawings, with initials “C.B.” Other designs are by Jan A. McKay and artist “G.G.” The round tray and cups for this skyscraper cocktail shaker never saw the light of day. The cocktail shaker was featured in the 1936 catalog matched with an existing tray called the Manhattan as a cost saving feature and the cups used were actually the top of the cocktail shaker turned upside down with a stem and base added. Again a good industrial design money saving feature that did away with expensive tooling. Together the set was called “Revere Cocktail Ensemble”. 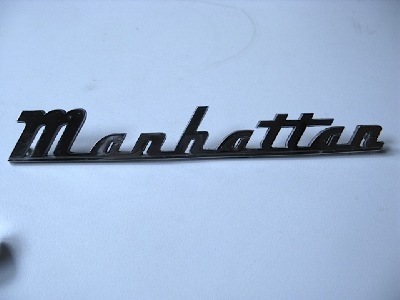 The Manhattan designation was added in 1938. Today a single Manhattan cup sells on e-bay for a thousand dollars owing in part to its short life span while a complete Manhattan with six cups sold at a Phillips auction in New York City, on June 11, 2001, for over thirteen-thousand dollars. And like the Martini with its share of mythology, whispering of a bygone age of style and elegance, the Norman Bel Geddes & Co designed cocktail set has become a classic example of Art Deco and The Holy Grail of all bar war collectors. ca. 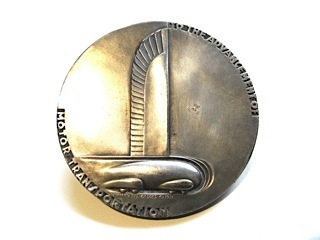 1933... Silvered Bronze medal, designed by Norman Bel Geddes, for General Motors 25th Anniversary & the Chicago 1933 World's Fair Century of Progress General Motors Exhibition. Sculpted by Rene Chambellan, stuck by the Medallic Art Company, New York. 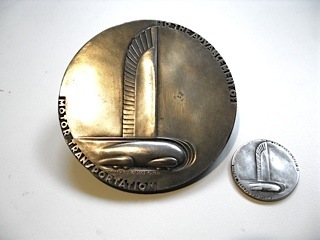 Signed by Norman Bel Geddes beneath the streamlined car on the obverse. Produced in 3 sizes. 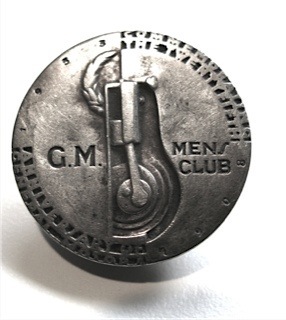 76 mm ( 2.992) 38 mm (1.496) & 29 mm (1.141) The smallest 29mm is the scarcer vision and was produced for the General Motors Executive Mens Club. 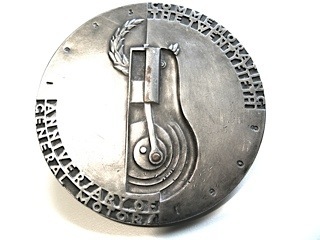 This medallion, commemorating the twenty-fifth anniversary of General Motors, is an example of the Streamlined style that dominated architecture and design in America from the late 1920s to the end of the 1930s. With its abstracted, teardrop-shaped vehicle form depicted in motion, with the tall winglike element rising from its center, the overall effect is one of speed and movement—characteristic of the Streamlined style and appropriate to the automobile and airplane age. Norman Bel Geddes was trained as a theatrical set designer but best known for another project for General Motors, the Futurama exhibition at the 1939 New York World's Fair. This exhibit, through which visitors were propelled on a giant conveyor belt, depicted a utopian vision of America in the near future, a world dependent on the speed and efficiency of the automobile for work and recreation.